Finally am I on my way up to Mount Everest BaseCamp. So far, So good. 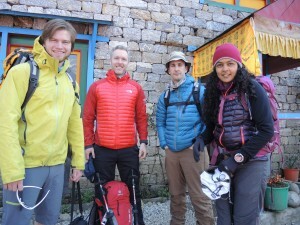 We have moved slowly up from Lukla and am now in Namche Bazar 3.440 meters. We had a rest day yesterday, but we will continue to Debuche on 3.800 meters today. 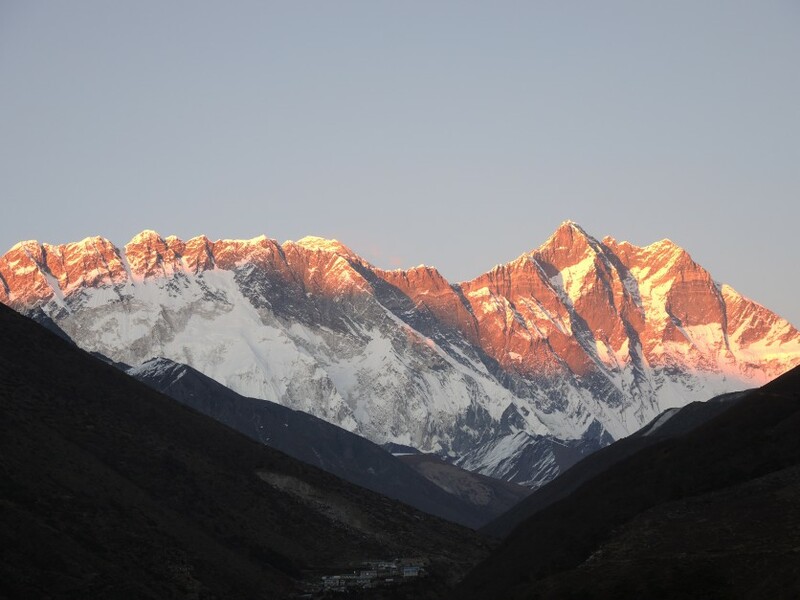 The mountain life here in the Mount Everest region never stops to amaze me. There are no cars. 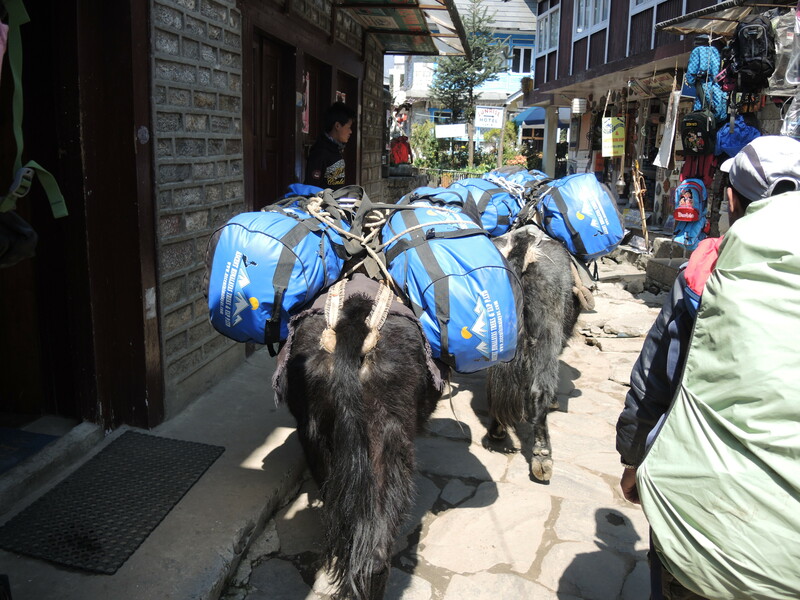 Everything that is transported up to the villages are transported by either yaks, mules or people. This is our luggage. 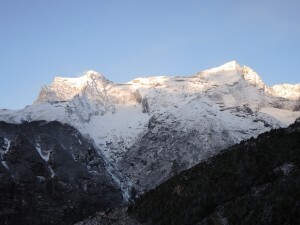 The journey up to BaseCamp is estimated to 9 days. The difference in altitude from Lukla to Mount Everest BaseCamp is approximately 2.500 meters. So we have to walk slowly, slowly so our body get adjusted to the altitude. From BaesCamp to the top is the difference approximately 3.500 meters………. We have had a rest day in Namche Bazar as part of the acclimatisation. This morning did we wake up to new snow on the ground and clear sky. I leave it up to your imagination to imagine how it feels. We are getting closer our goal for each day that passes by. I just enjoy being up in the mountains, and feel so fortunate to have the opportunity to be here. The group is great, the weather is great and the nature is awesome. What more can you ask for?